The Grass Is Dead are a force of nature in bluegrass and Grateful Dead music. 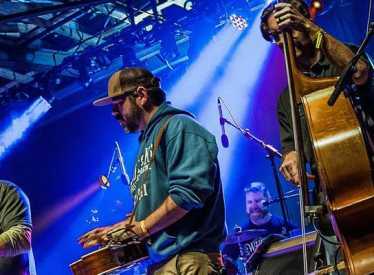 More than merely paying tribute to the Dead, these hot pickers have been seamlessly weaving bluegrass, blues, rock and funk into a unique sonic experience. Pulling from such diverse influences as Bill Monroe, Earl Scruggs, John Hartford, Allman Brothers Band, Pink Floyd and so many others, The Grass Is Dead have created a sound that not only pays homage to roots music and the songs of the Dead and Jerry Garcia, but expertly travels through time and space to explore the galactic and psychedelic nature of music itself. 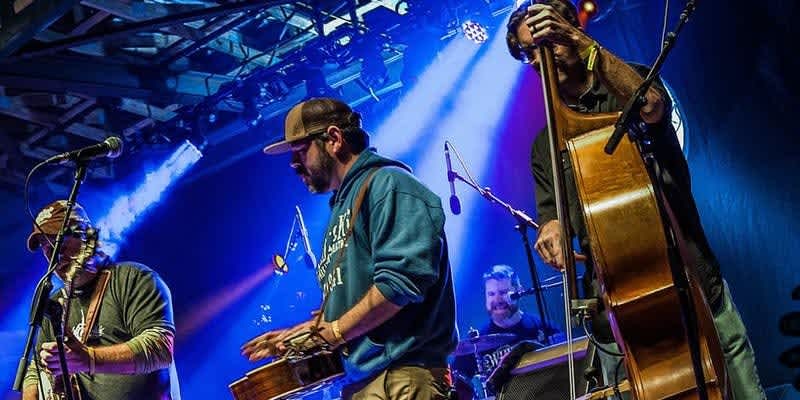 After many years of regionalized gigging, the past three years has seen the Grass Is Dead aggressively touring nationally and sharing the stage with such great acts as David Grisman, Del McCoury, Greensky Bluegrass, Leftover Salmon, Billy Strings, Peter Rowan, Donna The Buffalo, The Jon Stickley Trio, Town Mountain and many more. This year alone they have played a number of highly regarded festivals such as Suwannee Spring Reunion, DelFest, The Aiken Bluegrass Festival, Rooster Walk and later this year they are slotted to play Suwannee Roots Revival, Hickory Fest, Wormtown Music Festival and Leftover Salmon’s Blue Ridge Jam. "At the core of The Grateful Dead is the heart of American music, which is bluegrass and folk. You cannot hide behind these two genres. What you get in the studio is what you get onstage. And it's that vulnerability and honesty that sets the tone and attitude apart from the haphazard and polished nature of pop radio. Putting their music through the prism of string music, The Grass Is Dead showcases how Jerry & Co. buried innumerable gems of wisdom — sonically and spiritually — in the rich tapestry of their melodies and lyrics, all of which radiates in intimacy and inclusiveness of The Grass Is Dead when they stand in front of the microphone, and also the unknown night of curiosity and exploration that they seek out and grasp with such ease."